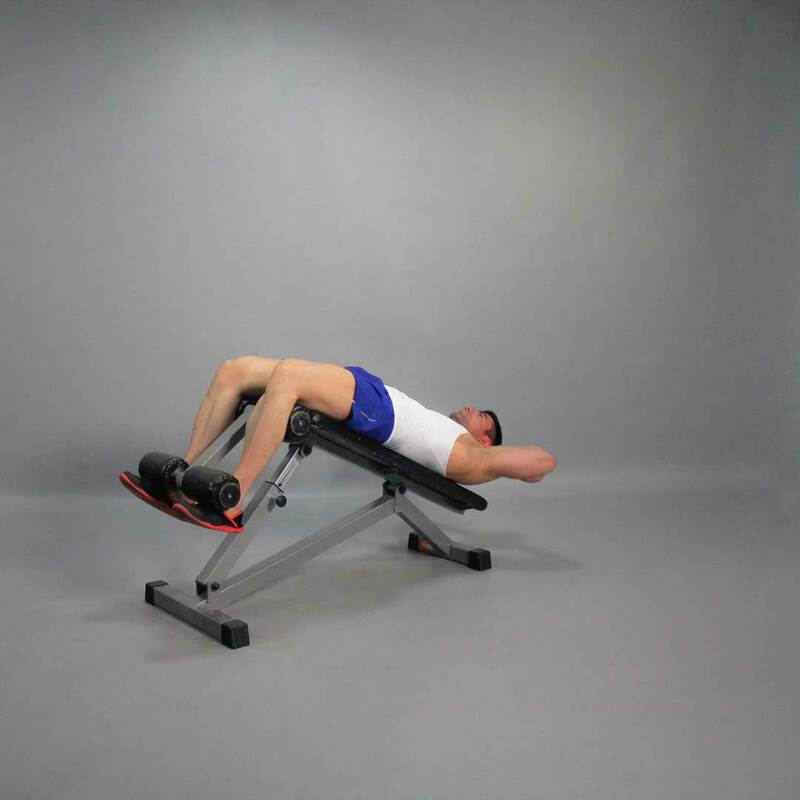 Lie on an incline bench, securing your legs. Place the hands behind your head, keeping your elbows in. Don’t lock your fingers on the nape. Press your lower back down to the bench to isolate your abdominal muscles work. This will be your starting position. Exhaling, start to crunch raising your shoulders off the bench and pressing your lower back to it as hard as you can. Your shoulders should raise up off the bench only about four inches, and your lower back should remain on the bench all the time. At the end of the movement, contract your abs fully and make a brief pause. Focus on slow, controlled movement. Don’t cheat yourself by using jerks and momentum. After a pause, slowly back down to the starting position while inhaling.